The Thanksgiving countdown has begun! 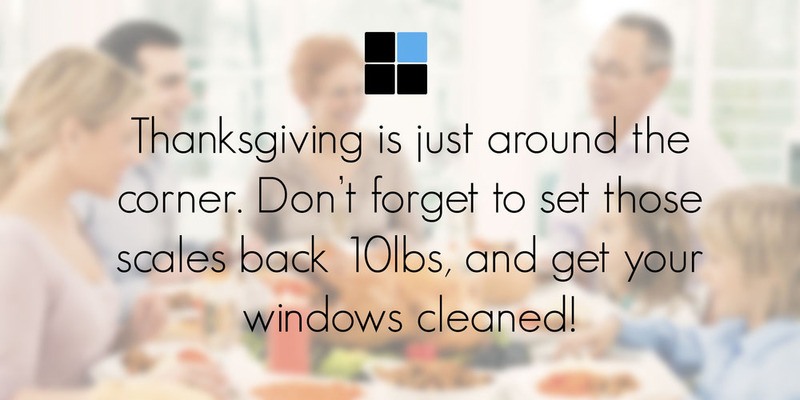 Don’t wait till the last minute to schedule your window cleaning appointment! The time slots for thanksgiving week are quickly filling up. Schedule your cleaning today! To request a window cleaning estimate, fill out the form below.